No, it’s not some tongue-in-cheek name for the latest super-thick imperial stout. Spreadable beer is literally spreadable, a product that could be considered similar to Marmite, but not quite. And for Americans interested in giving it a try, it’s shipping to the U.S. for the first time. 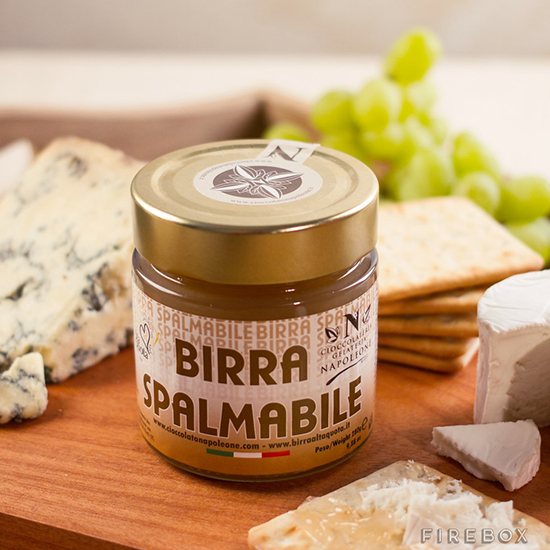 Called “Birra Spalmabile” – which is Italian for… well, hopefully you can guess, this strange spread started as a collaboration between Italy’s Alta Quota brewery and the nearby Napoleone chocolate company. The unique product has been getting buzz in its home country since its initial 2012 release. But now, thanks to online retailer Firebox, you can finally get some sent to your home for just $17, or about the cost of a couple nice pints in New York City. If you’re looking to get buzzed off your morning toast think again though. Each jar is non-alcoholic and made from 40% beer, imparting “an intense hop scent” to what its creators describe as a “smooth and gooey” food. The creators of spreadable beer claim their beer spread is an incredibly diverse condiment—pairing well with cheese, hor d’oeuvres and even mixing as an ingredient in cakes. It’s at times like this that we remember those immortal words from the 2001 classic Super Troopers. Spread it on!